Significant price reduction!!! Motivated Seller!!! 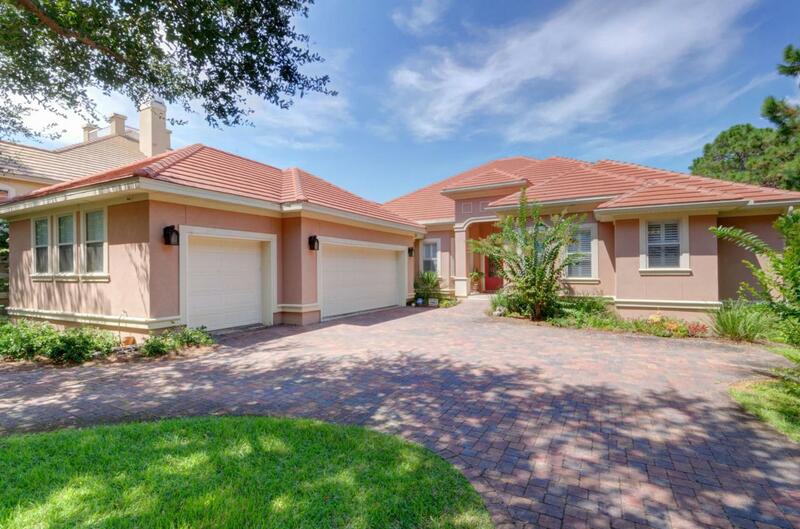 Gorgeous one owner custom home overlooking the golf course in the desirable gated golf course community of Regatta Bay. Spacious, open concept floor plan that's perfect for family and entertaining. Large great room with gas fireplace and custom built-ins, large kitchen with center island, breakfast bar, upgraded stainless appliances including a brand new Kitchenaid five burner gas cook top, double ovens, ice maker, wine refrigerator, abundant counters space and cabinetry, granite counters, walk-in pantry. Breakfast area overlooks the lanai, formal dining room adjacent to the foyer. Split bedroom floor plan with generously sized master suite, master bath with large walk-in shower, jetted tub, dual walk-in closets. Three additionalbedrooms, two full and one half bath, study (could be fifth bedroom). Large screened lanai, three-car garage. Custom features include raised ceilings, trayed ceilings, arched doorways, recessed lighting, art niches and much more. Very neutral and lightly lived in! Seller is including over $50,000 of furniture and custom window treatments. As always, all dimensions important to the buyer should be verified.